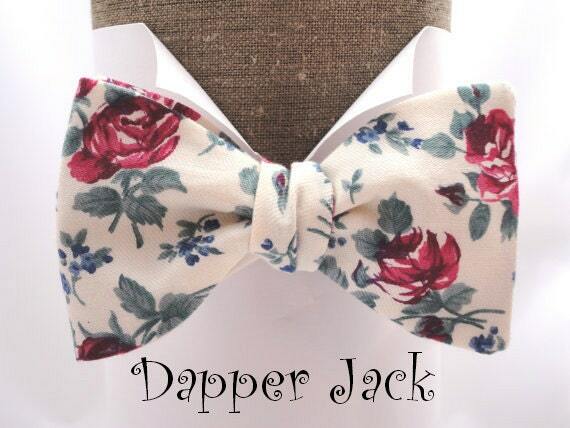 Bow Ties. 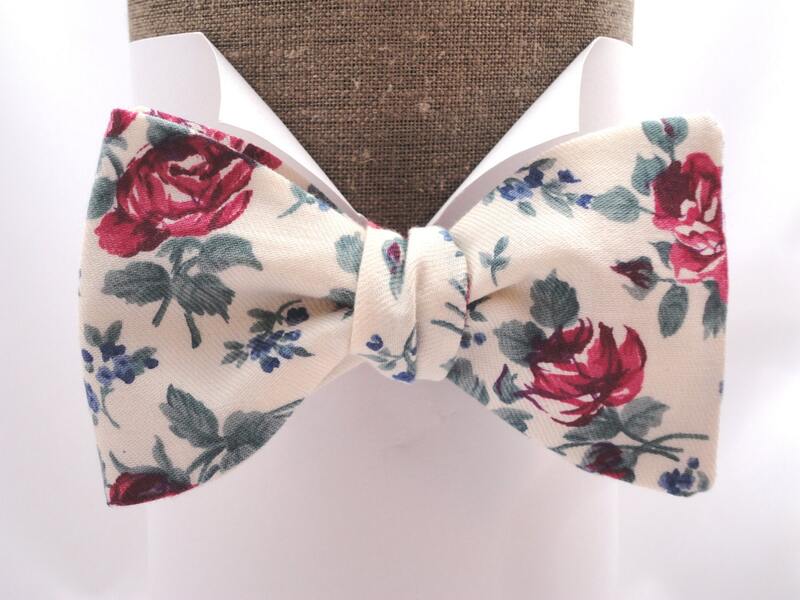 Red Roses Bow Tie, Wedding Bow Ties. 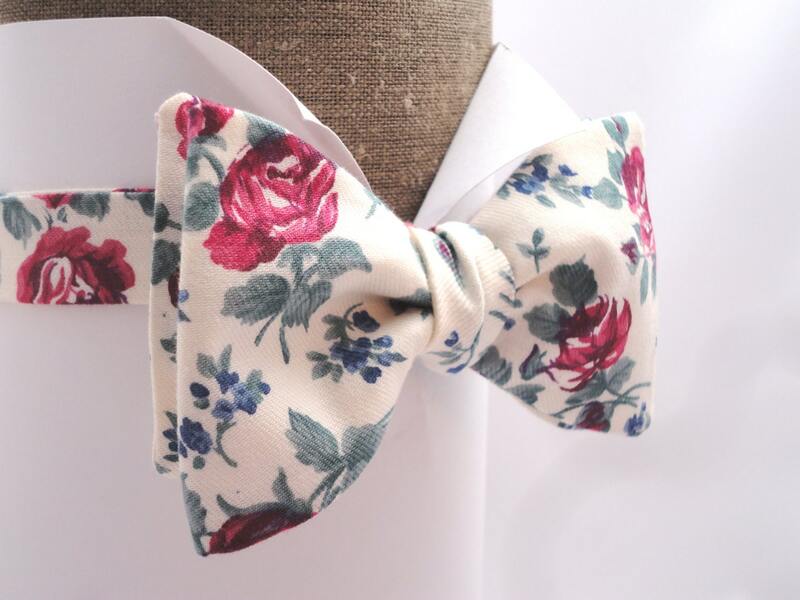 Roses print self tie bow tie made in 100% cotton on an adjustable neck band. 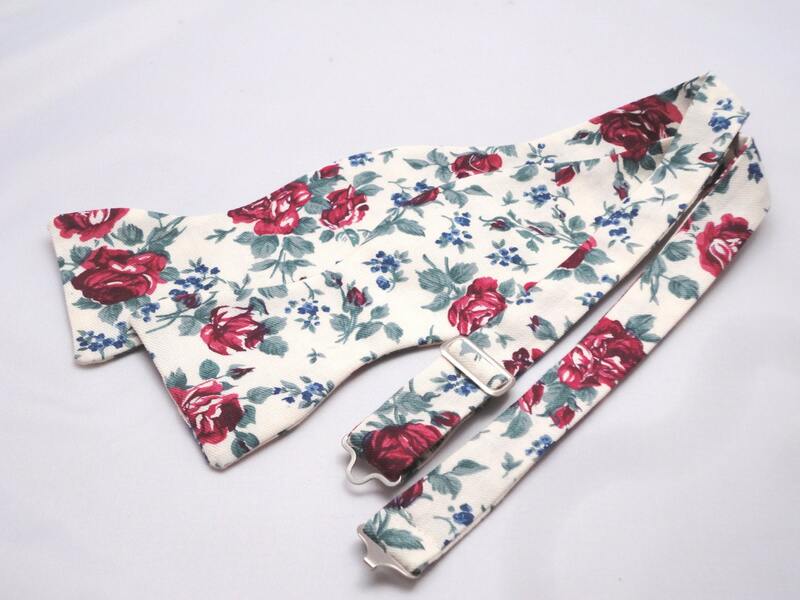 Roses print on an ivory backgound cotton fabric. Also available in pre tied. Lovely item, delivered almost instantly with fantastic customer service.